Originally developed by Flaxera Software, Inc., clickonce2dim.exe is a legitimate file process. This process is known as Clickonce2dim.exe and it belongs to InstallShield. It is located in C:\Program Files by default. clickonce2dim.exe virus is created when malware authors write virus files and name them after clickonce2dim.exe with an aim to spread virus on the internet. How to check if your computer is infected with clickonce2dim.exe malware? 1) Press CTRL+ALT+DEL keys to open Task Manager. 2) Go to the process tab and right-click on the clickonce2dim.exe file and open its location. If the file is located outside C:\Program Files, then you should take measures to get rid of the malware. How to remove clickonce2dim.exe malware from system with Comodo Cleaning Essentials? Step 1: Download the CCE suite. Step 2: To start the application, double-click on the CCE.exe file. Step 3: It then probes the antivirus to initiate a full system scan to identify and remove any existing malicious files. Step 4: If threats are found during the scanning, you will be prompted with an alert screen. Step 5: Comodo Cleaning Essentials will remove clickonce2dim.exe malware from your computer including all other malwares! Antivirus Protection protection from hackers! 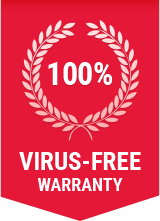 Get the ultimate Antivirus solution to keep your PC clean and to remove viruses from a slow or infected PC. Improve the PC performance at home or use it on-the-go!